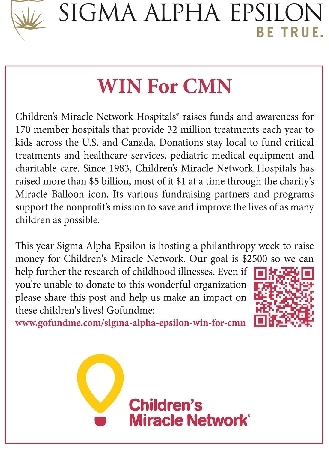 MACOMB, IL – The Sigma Alpha Epsilon fraternity at Western Illinois University will host its WIN for CMN (Children's Miracle Network) philanthropy event Sunday-Thursday, Oct. 8-12. The five-day event includes a schedule of events to raise money for CMN. 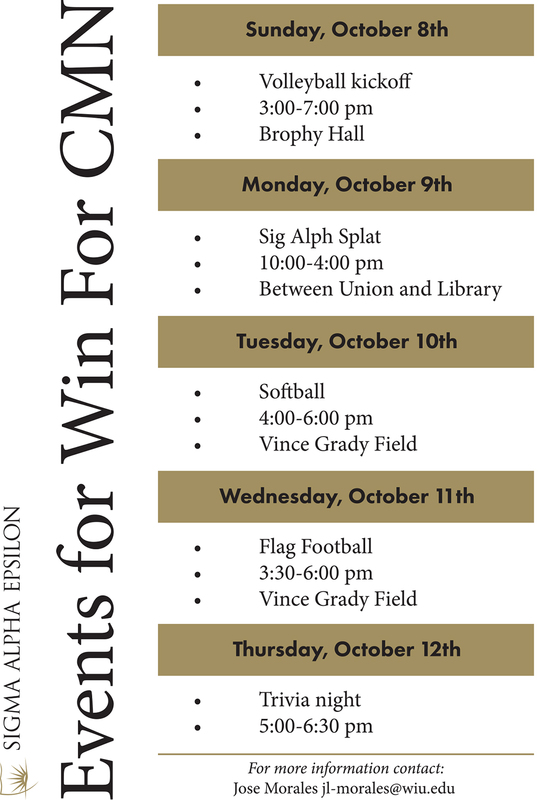 • Oct. 9 – 10 a.m.-4 p.m., "SigAlph Splat" between the University Union and the Library – members of the fraternity will stand behind chicken wire to have items such as eggs, tomatoes and water balloons thrown at them to raise money. • Oct. 10 – 4-6 p.m., softball at Vince Grady Field. Participants in all events other than the "SigAlph Splat" will be the social sororities on the WIU campus. For the "splat" event, anyone who walks by the location can donate and participate. In addition to the schedule of events, the fraternity will host dum dum sucker drives at County Market, Walmart and Hy-Vee in Macomb. The events will be held Oct. 9 at County Market; Oct. 10 at Walmart and Oct. 11 at Hy-Vee, from 3-6 p.m. each night. 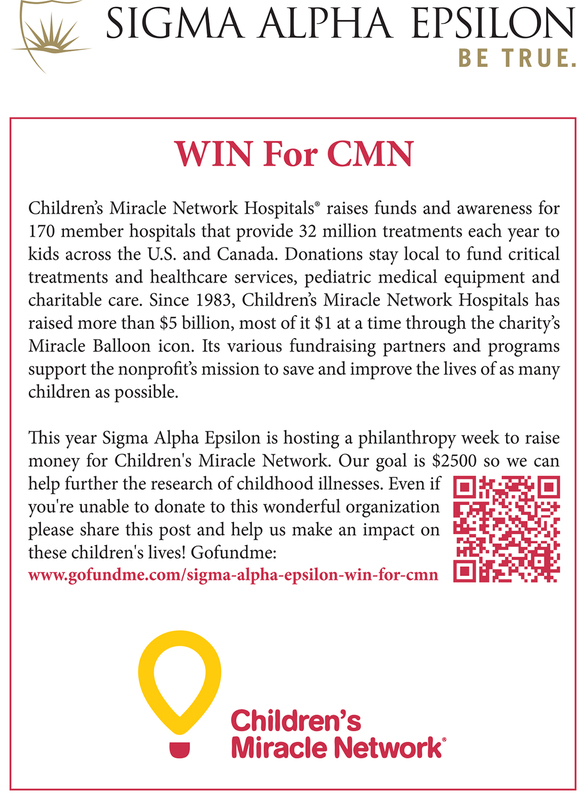 All proceeds from the five-day event will benefit the CMN. For more information, email CJ-Hoyle@wiu.edu.